Each year National Christians In Action (N.C.I.A.) provides Project Better for our community youth. The program is two-fold. 1). N.C.I.A. provides mentoring and tutoring for boys and girls ages five (5) to seventeen (17) years old . The project is managed and supervised by Rev. Dr. George V. Williams along with the N.C.I.A. Board of Directors and volunteers. They share the responsibilities for leadership training, educational activities, and program support services. They are referred by parents, teachers, community leaders or agencies to the Department of Intervention Services for exhibiting one or more of the following factors: Suspension, Truancy, Homelessness, Delinquency, and Performance below grade level or other needs. 2).​ Project Better program is designed to teach parents how to help their children with homework assignments and build character. These efforts have sparked renewed community involvement from both parents and volunteers. Parent volunteers must support the after-school program when they enroll their child(ren). Parent volunteers help coordinate transportation, assist in administration, chaperon learning opportunities and help with homework assignments. ​students on improving their skills for the upcoming school year with emphasis on building a positive attitude toward education and strong leadership. 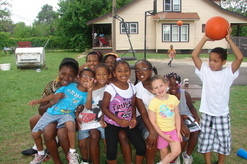 The program provides tutoring, counseling, and mentoring in a warm, caring and lovable atmosphere. Our staff primary focus was on assisting participants in educational activities while helping them improve and build academic skills. Upon entrance into the program, each participant is evaluated at their assigned grade level. Adjustments are made according to their test results as to whether they could move on to the upcoming grade level work or improve their skills in their recent grade level. 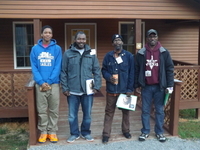 National Christians In Action Boys To Men program was founded by Rev. Dr. George V. Williams. It is designed to assemble men from various backgrounds in a cohesive environment to discuss the issues facing men, their families, community and brotherhood. Meetings are held at the headquarters of the National Christians In Action once a month and include men ages 17-100. Guest speakers are invited and the participates share their experiences, concerns and goals with one another. Their theme: "It's Time To Man Up", include heartfelt discussions such as: "Taking back Our Neighborhoods, "Fatherhood", "Life/Career Choices", and much more. N.C.I.A. provides mentoring for young men seeking one-on-one counseling. Our mentors include clergymen, social workers, community leaders, etc. In 2013, Boys To Men held their first luncheon at Christian Faith Ministries with guest speaker Pastor Tyson of Womack Temple. The room was filled to capacity and included various speakers, entertainment and a hearty lunch. If you are interested in joining this organization feel free to contact Rev./Dr. George V. Williams. Each year, National Christians In Action N.C.I.A.) commemorates the birthday of Dr. Martin L. King Jr. Local choirs provide some of the best acoustic sounds one could imagine. 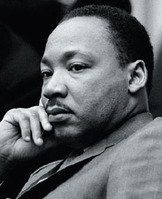 The program includes the life of Dr. King, his accomplishments and his dreams by various community participates. In 2013, the program was be held at ​​​Springhill Baptist Church, Inkster Michigan with standing room only. In 2014, our program will be held at Climbing Jacobs Ladder church in Inkster, Michigan.